Valve and its Steam service is synonymous with PC gaming. Steam is a store and social platform for playing PC games, and it’s the most popular one of its kind. Valve has previously made some surprising announcements, launching a Big Picture Mode that you can use to play Steam games on a big screen TV in your living room, and releasing Steam for the Linux desktop. But Valve’s recent announcements are the biggest yet. Valve made not one, but three big announcements. Together, these announcements have the potential to move PC gaming away from Microsoft Windows and shake up the console market by bringing PC gaming to the living room. Valve has previously released Steam for Linux and enabled Big Picture Mode, letting anyone switch to an interface that’s optimized for big screen televisions and controllers. They’d also announced their intention to ship their own “Steam machines,” which would run Linux instead of Windows. Any manufacturer can make their own Steam machine — Valve makes a profit from game sales, of course, so having more manufacturers create Steam Machines would be good for them. It’s like Google’s Android strategy, but applied to consoles instead of smartphones. There was one missing part of the picture, however. Valve couldn’t release Steam Machines just running Steam — they’d have to be running Steam on top of Linux. Valve could have thrown up their hands and allowed each manufacturer to choose their own Linux distribution, but that would have been a mess. Rather than stick with existing Linux distributions, Valve announced SteamOS, which will be a customized Linux distribution that’s specially tuned for performance and low latency. Because Valve controls every bit of the experience, you can bet that a Steam Machine will be an easy turn-on-and-play experience. It’s very similar to ChromeOS — Google’s Chromebooks Looking For A New Laptop? Get A Chromebook Instead! Looking For A New Laptop? Get A Chromebook Instead! Read More run a Linux-based operating system with a custom Chrome interface. This new OS is just like that — a Linux system with a custom Steam interface. SteamOS will be available to everyone for free. 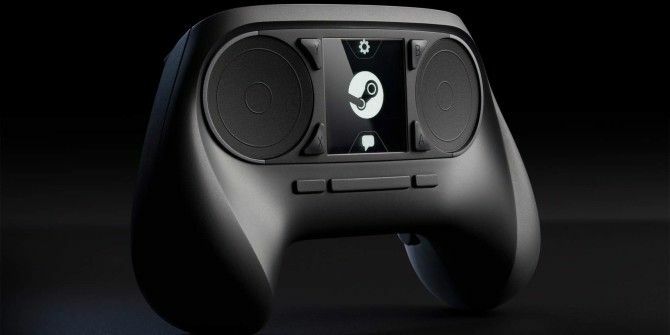 It will be preinstalled on Valve’s computers, but any manufacturer can create their own SteamOS-based machine. You could even download it for free and install it on a Steam Machine of your own making — or even your PC. It will be an open, hackable system, as it’s built on Linux. It will also support other critical entertainment services for the living room — we’re thinking typical media services like Netflix, Hulu, and Spotify will be playable on SteamOS devices. It will also feature a “family sharing” feature that allows users to share their digital game libraries with family members, earning their own achievements and having separate game saves. 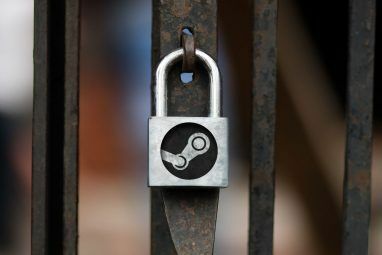 While SteamOS will only be able to run Linux-based games, Valve announced that Steam will be able to stream Windows games from a Windows gaming PC you may already own. 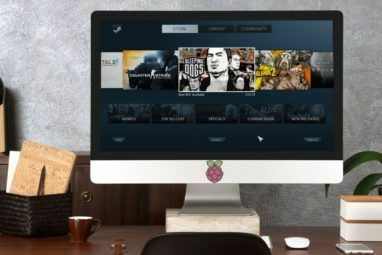 This allows Valve’s OS to run Steam’s entire gaming catalog on your TV. However, Valve says it has big-name publishers signed on to release their future games for SteamOS. Good: A cheap $100 system that primarily streams games to your TV from your gaming PC. Better: A base-level $300 machine with standardized specifications, giving game developers something to target, just as they can on consoles. Best: High-end Steam Machine with the best possible PC gaming hardware out there — manufacturers can create expensive Steam Machines from the highest-end components. Valve announced that they will be releasing a prototype of the $300 “Better” console. They will be shipping 300 of these prototypes to Steam users so they can function as beta testers. For a chance at a free prototype of your own, you need to earn the Steam Hardware Enthusiast badge by completing these tasks before October 25, 2013. You’ll be able to buy multiple SteamOS machines from different manufacturers in 2014. Steam games can currently be played on a TV or even a gaming PC with a controller. Any controller can be used, although Microsoft’s Xbox 360 controller Connect Your Xbox 360 Controller To Your Linux Gaming Rig Connect Your Xbox 360 Controller To Your Linux Gaming Rig Linux gaming rigs? Yup, they’re happening. With Valve’s Steam on Linux and a forthcoming Valve Steambox using Steam to run Linux games, the future is looking up for gaming on Linux. You can even install... Read More is the best-supported one. Valve is clearly not going to ship Microsoft’s controller with its Steam Machines, so they have to release their own. Many people expected Valve to make a typical gaming controller — the Xbox and PlayStation offerings aren’t that different when you look at them, featuring the typical thumbsticks and buttons. Instead, Valve went in a different direction. The resulting controller is a bit off-putting at first, as it doesn’t look like something you’ve ever used before. Rather than include thumbsticks, Valve has given the controller dual trackpads. The trackpads have built-in haptic feedback so they can give much more tactile feel than a typical rumbling controller. Most exitingly, the touchpads appear to combine some of the best features of controller and keyboard/mouse inputs. You get the analog movement of a controller — you can control how fast your character moves by how far you move the thumbstick or where you press the trackpads, as opposed to the on/off input allowed by a keyboard button. 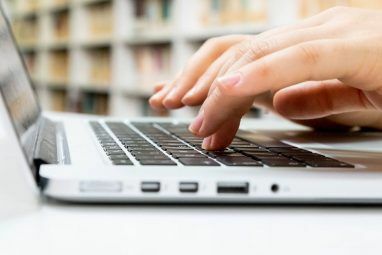 If beta testers are to be believed, you also get much more precise input — the kind of input you’d get with a mouse. Valve says this will enable games that couldn’t have been on the TV before — real-time strategy games, fast-paced first-person shooter games with mouse-like precision, and more. Sure, keyboard/mouse will still be preferred by many PC gamers, but it’s possible that this controller could bring games like DOTA 2 What Is Dota 2 & Why Should You Care? What Is Dota 2 & Why Should You Care? In the world of games, Valve Corporation has recently grown into one of the largest and most consistent game publishers (with the skyrocketing success of their Steam distribution network) and game developers (with the international... Read More to the television. Like SteamOS and machines themselves, the controller is hackable so gamers can tweak it to their hearts’ content. The controller also features a touch-screen. When you press the touchscreen, it will appear overlaid on top of the TV — so you can use the touchscreen’s options without ever taking your eyes off the game. There are a lot of exciting things going on here. PC gaming is moving to the living room, bringing a variety of hardware devices and an open software platform to challenge the next-generation consoles PS4, Xbox One, or Wii U: Which Console Should You Buy? PS4, Xbox One, or Wii U: Which Console Should You Buy? Read More . Games that could never be played with a controller now can be, thanks to Valve’s clever new designs. PC gaming is becoming untethered from Microsoft and Windows 2013 Is Microsoft's Most Important Year Yet - For All The Wrong Reasons [Opinion] 2013 Is Microsoft's Most Important Year Yet - For All The Wrong Reasons [Opinion] Microsoft has a lot of work to do to come out of 2013 with a spring in its step. 2012 was not Redmond's year, and demand for Windows 8 can be described as lukewarm, with... Read More , moving in its own direction — this means that more and more big games will run on Linux in the future. One thing’s for sure: This is going to be interesting. For more information, read Valve’s Steam announcements yourself — they include helpful FAQs and additional details. What do you think about SteamOS, Steam Machines, and Valve’s new controller design? Leave a comment below and share your thoughts! Well all I can say is...about time! For years I've stuck with my PC for the simple reason that first-person shooters are bar none the BEST played with a mouse. Tracking a target and precision zooming and aiming STINKS with console controllers as opposed to a mouse, so I've been glad to forego buying any kind of console for the benefits inherent in a mouse/keyboard setup. So...the Steam controller will generate gameasms. Not interested at all in any of these.